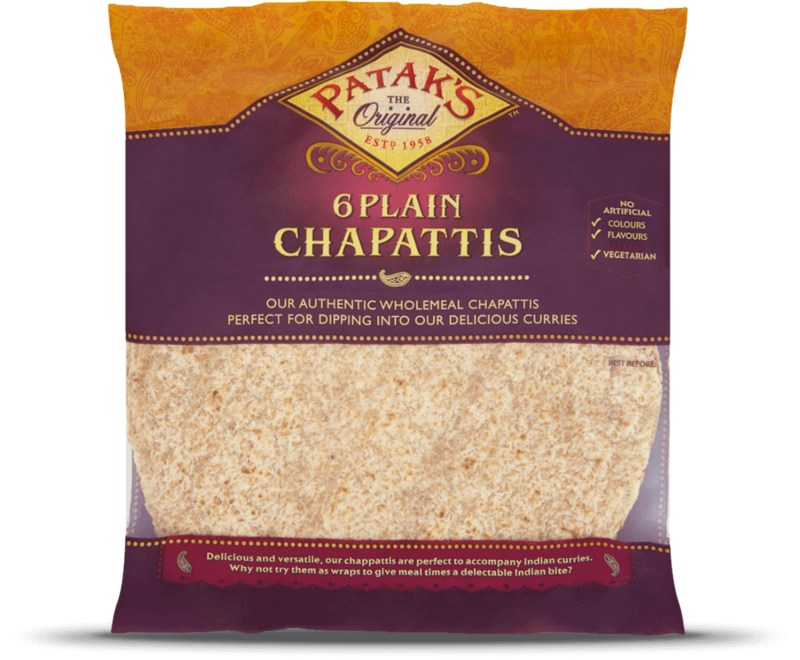 Chapattis are authentic Indian unleavened flatbreads, and are particular popular in Northern and Western regions of Indian where they are eaten as part of the everyday meal. A Chapatti is traditionally served as an accompaniment to curry often used as a scoop. Or you could try stuffing them and using them as a wrap. Flour (WHEAT Flour, Calcium, Iron, Niacin, Thiamin), Water, WHEAT Bran, Vegetable Oils (Palm Oil, Rapeseed Oil), WHEAT Germ, Sugar, Acidity Regulators (Citric Acid, Malic Acid), Emulsifiers (E472e, E471, E401), WHEAT Gluten, Raising Agent (Sodium Carbonates), Preservatives (Potassium Sorbate, Calcium Propionate), Salt. A great lunchtime meal, this is really simple to make and tastes simply divine. The vegetables taste delicious cooked in the Rogan Josh Spice Paste, and wrapped in our authentic Chapattis, these are a delicious alternative to a sandwich. This is a delicious meal for lunch or dinner - the spices taste wonderful with the egg and the minced lamb, and wrapped up in a hot Chapatti, it is just divine. You can use wraps if you don't have Chapattis to hand, however they do give a more authentic taste. Serve with the fresh, green salad.